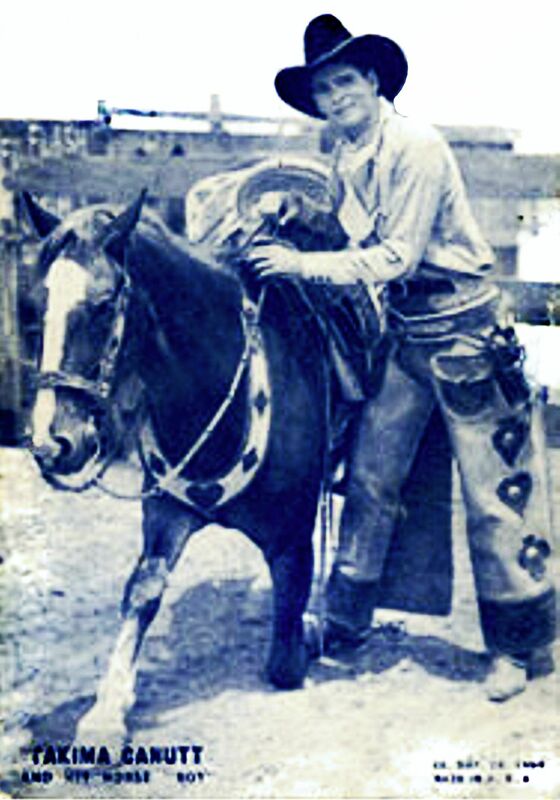 In the 20’s or 30’s real Cowboys were often recruited to Star in Westerns – like Tim McCoy, Tom Mix, Hoot Gibson, Ken Maynard, Wild Bill Elliott .etc. 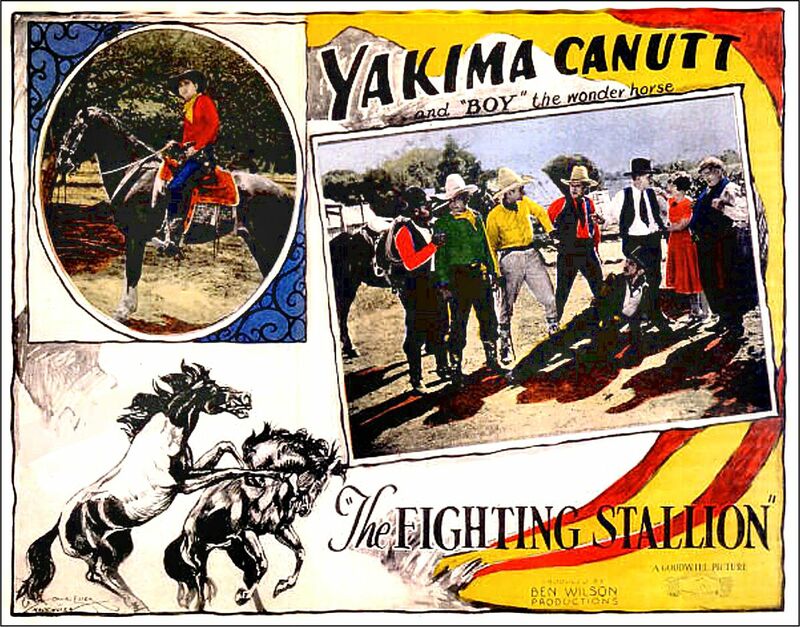 And who could be a realer Cowboy than Yakima Canutt? 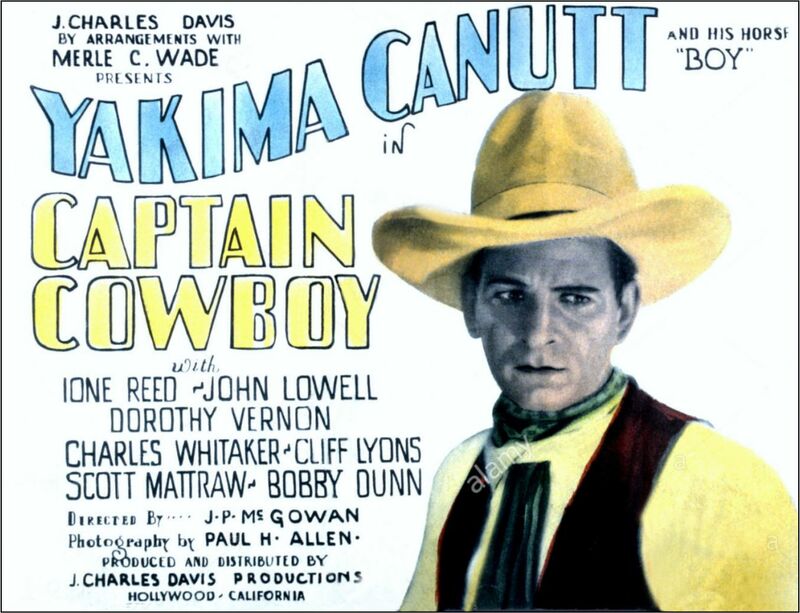 So in 1919, established Western Star and former rodeo contestant Tom Mix, invited Yak to be in 2 of his movies. 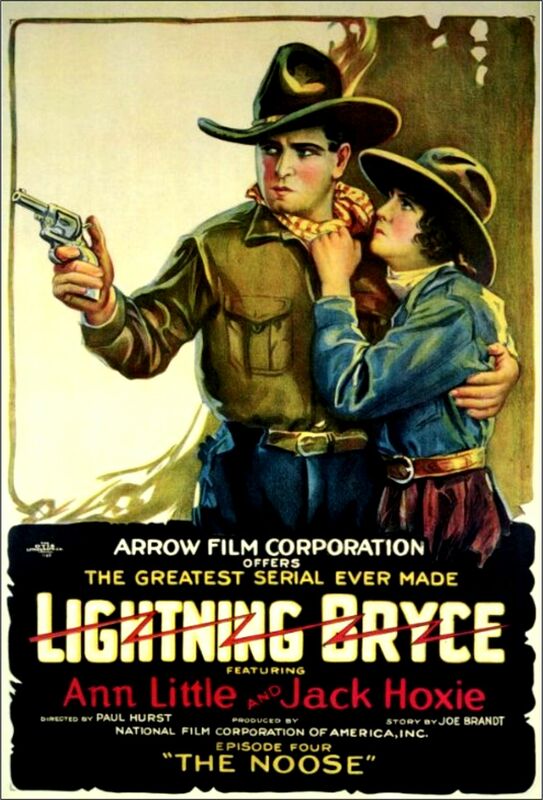 Later Yak got his first stunt work in a serial called Lightning Bryce; Starring Jack Hoxie. Acting, however, was not really a high factor in many early Westerns – they weren’t even ‘Talkies’, which helped a helluva lot to excuse less than sterling performances. Sometime later however, the great Western Director John Ford was given to say: “It is easier to get an actor to be a cowboy than to get a cowboy to be an actor.” (Do I detect a tinge of bitterness in there?) 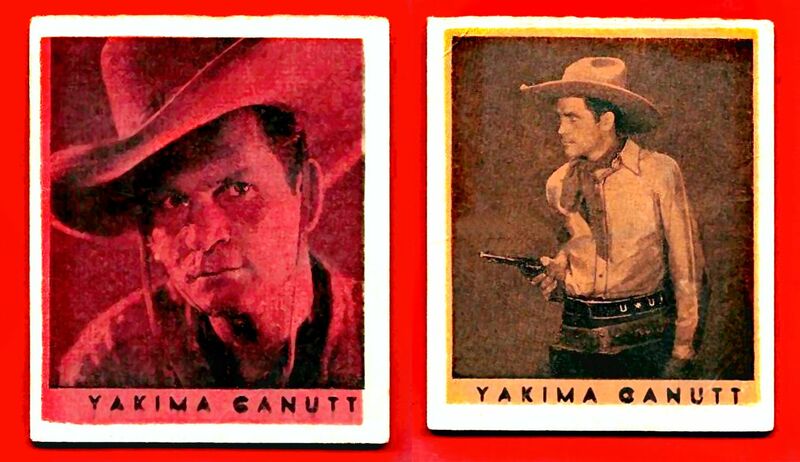 Thus the movement to recruit Cowboys as actors (with some noted exceptions like Slim Pickens and Ben Johnson) started to come to an end. Let’s put it this way: Yak, was not a natural actor. He was pretty wooden with not much range of emotion – and absent a bit on that mysterious stuff called charisma. 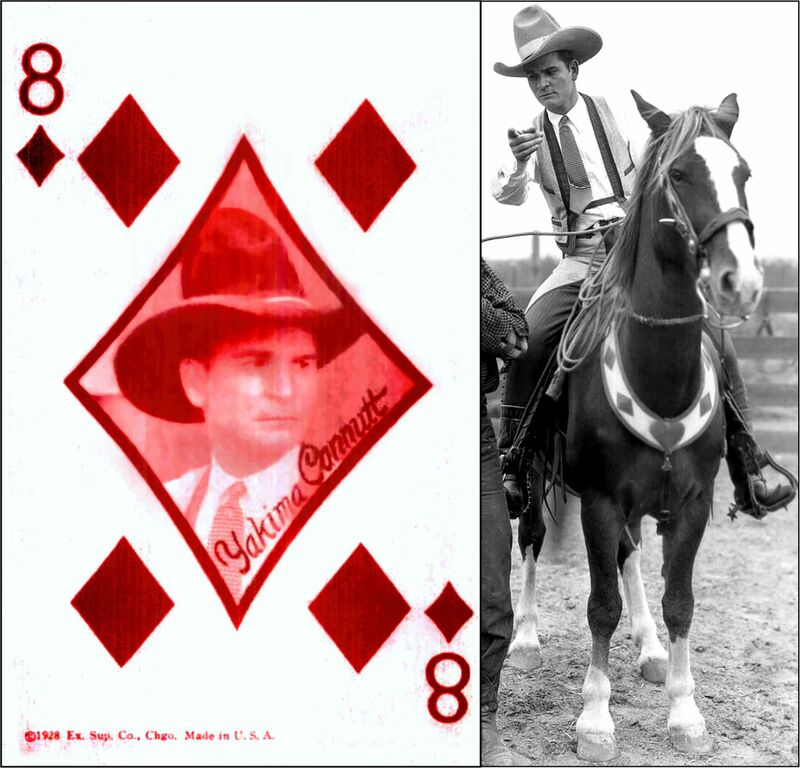 He was not destined to be a big Western Star. He still did damn well though – worked in over 300 movies: Acting, Stunting and Directing. 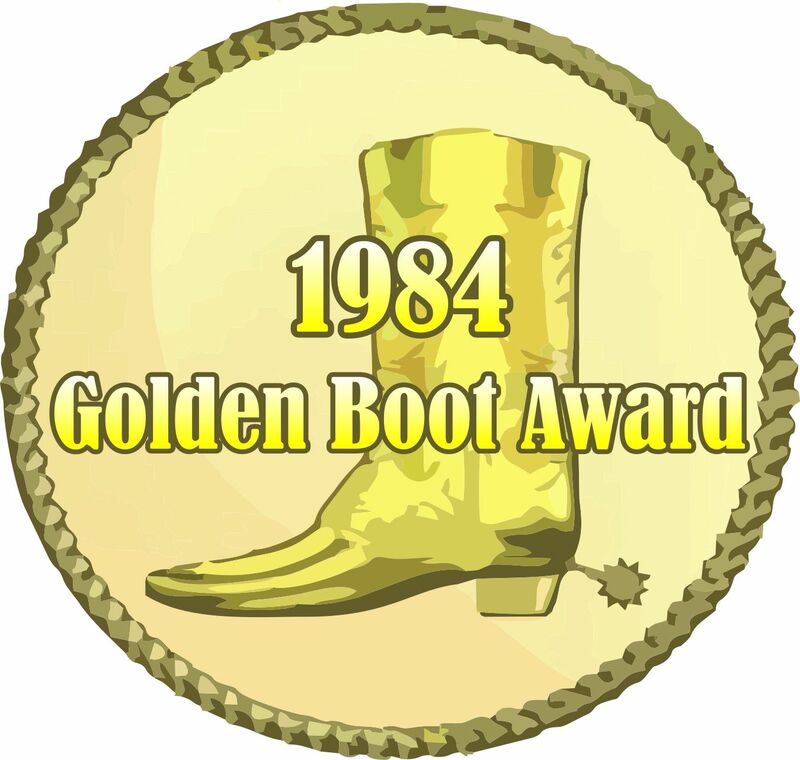 Yak was eventually awarded the Golden Boot Award in 1984 – which recognized the achievements of Cowboy film heroes and heroines, as well as writers, directors, stunt people and character actors who had significant involvement in the film and TV Westerns. 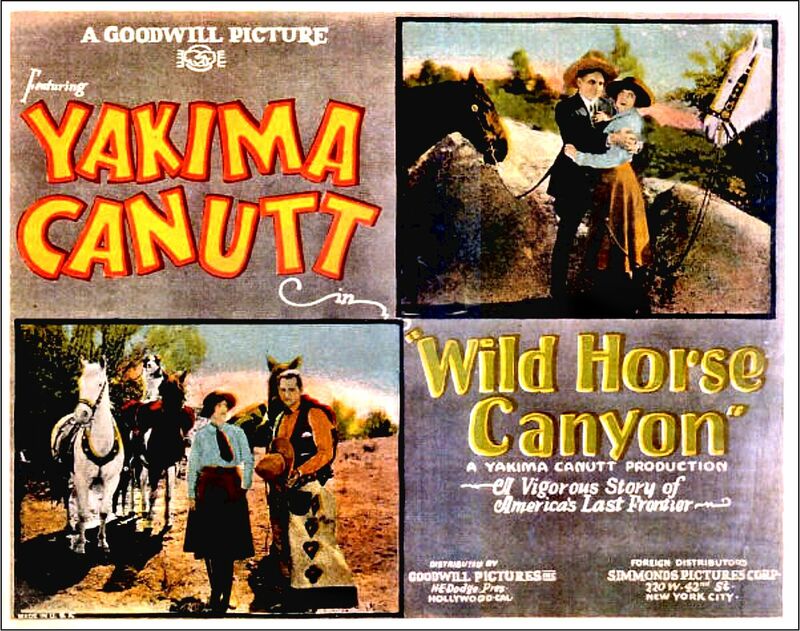 Yakima’s film credits are massive – over 300 movies as either Actor, Stuntman and action Director. Hollywood Walk of Fame star at 1500 Vine Street. OH what a great post. First you reminded me just how much I use to enjoy Tompaul. 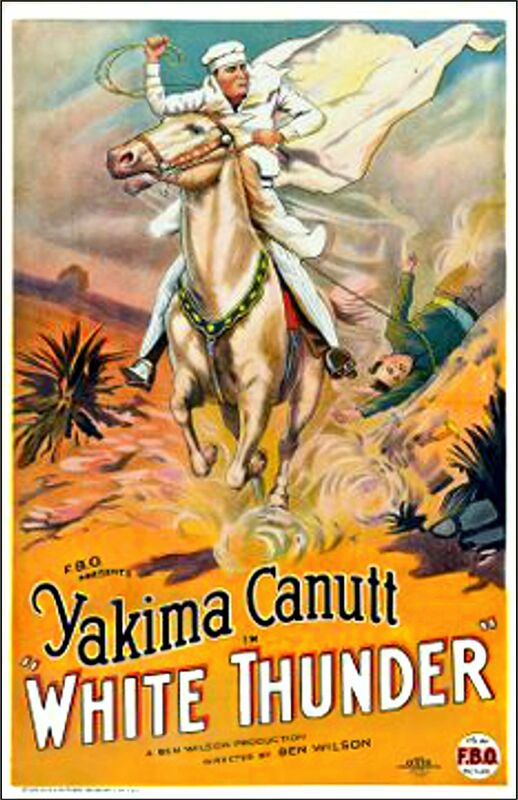 Then you had that post of White Thunder. Reminded me of a white Arabian I had. I named him Thunder, after the book Thunderhead. Then that video of those stunts. Wore me out just watching it. Trip wires and W’s. Poor animals! I had an outlaw horse that I was trying to break. This old timer showed me how to rig the W’s on the horse. No way! When I told him I wouldn’t hurt the animal like that, he laughed called me a softy. Thanks again for the Yakima posts. Thank you kindly Don. I had a tuff time with that post. Took me 3 days to put it together and I still wasn’t satisfied. 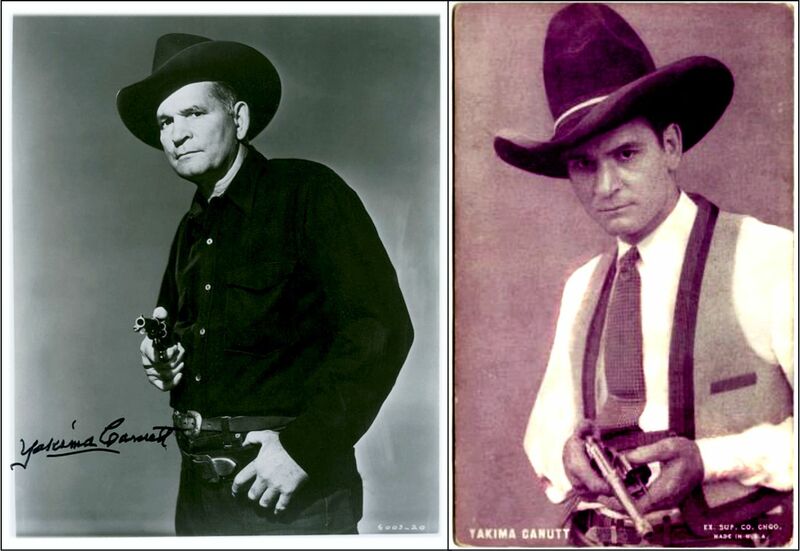 I didn’t know about Tompaul till the Outlaws showed up – another rebel who defected from commercial Country. 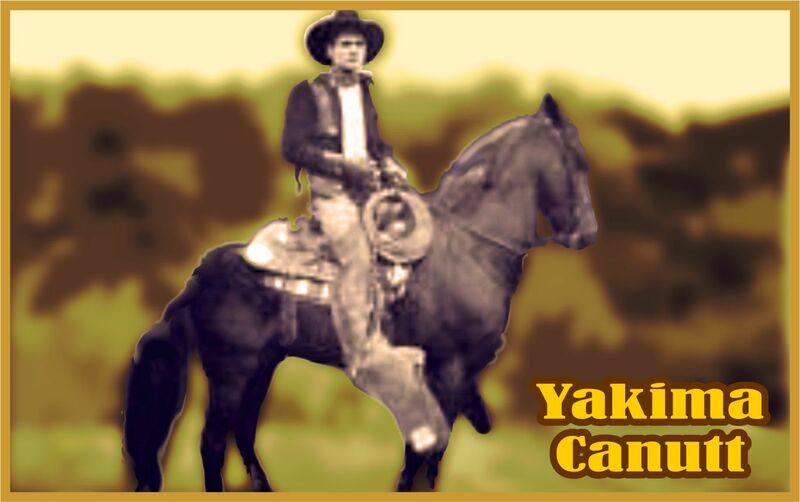 Yak’s movie career was very interesting – but in Stunting he was the MAN. 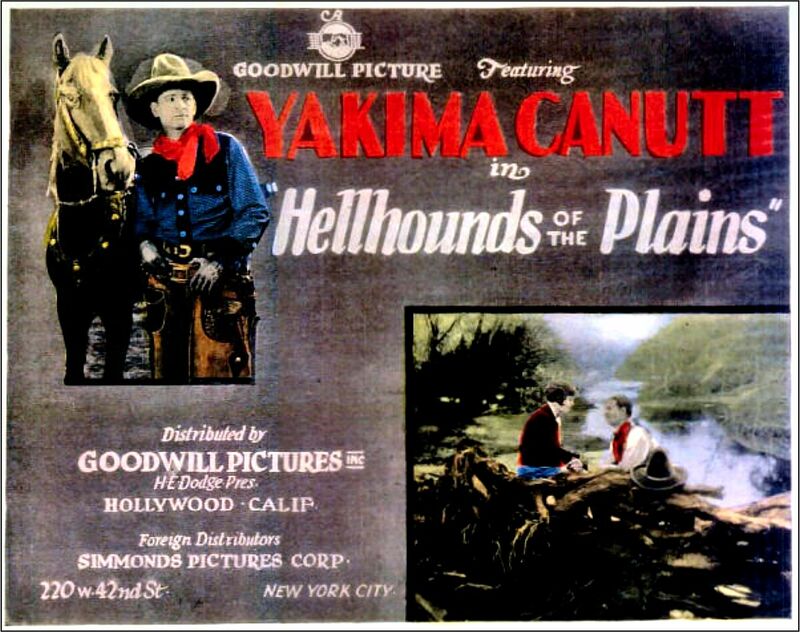 Yeah, they care about the horses it seems – but they cared almost less about the Stuntmen, who were injured often. I’ll try to post something on Yak and a horse that he had to deal with in The Devil Horse – that had already killed a man. Amazing scenes he did with that renegade steed. Onward !